An especially finely painted Chinese export porcelain tea bowl and saucer made for the American market, each piece decorated with a figure of HOPE and her anchor within an ermine-mantled shield. Most likely made for a prominent merchant or sea captain from the rather maritime state of Rhode Island whose state seal depicts the same figure. Very small frit to the rim of the tea bowl, otherwise both pieces in excellent condition. The saucer measuring 5 1/2″ in diameter, the tea bowl 2″ tall.  From a very prominent collection of China Trade American market porcelain. Circa 1790-1800.